Featuring nearly 300 established galleries, Art Basel 2015 is in its 46th year. 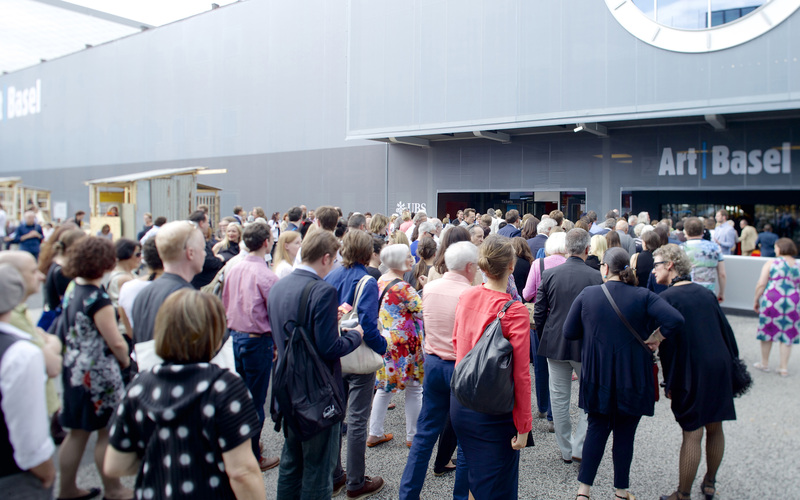 Until 21 June 2015 the mecca of the art fairs hosts the Galleries’ section in a reconfigured space: the layout of hall two’s ground floor has been redesigned with a largest redistribution of Basel’s floor. Galleries specialized in modern art are exhibiting works from the turn of the 20th century to the postwar period and the 1960s. Key works by historical avant-gardes artists including rare paintings from the Dada movement by Max Ernst (Horse and Cows, 1919 at Richard Nagy), drawings from “Der Indifferente” by George Grosz (Galerie St. Etienne), expressionist works by Schiele and Kokoschka. The Singer by Paul Klee (1923, Galerie Thomas) surrounds Fiordaligi, Mozart opera’ character who inspired the work, of a particular “aura”; meanwhile visitors can also discover an unusual Calder painting (Polo match, 1928) and a spectacular Rothko at Helly Nahmad Gallery. Particularly significant also the presence of Giacometti (two Tête at Dominique Lévy Gallery and Gagosian’s stand) and Yves Klein rare fire painting exhibited by Galerie Gmurzynska. Galleria Lo Scudo based in Verona reintroduce Italian Informale exhibiting artists such as Emilio Vedova, Afro, Scialoja, Consagra; instead, Arte Povera is represented by Michelangelo Pistoletto at Luxemburg & Dayane (Feature section). The renewed interest in ’60s is confirmed by the exhibiting project totally dedicated to French New Realism (Georges-Philippe & Nathalie Vallois gallery), combined to the presence for the first time in Art Basel of Raymond Hains 1.2m oversized matchbox sculpture (Galerie Max Hetzler in collaboration with the Estate of the artist). 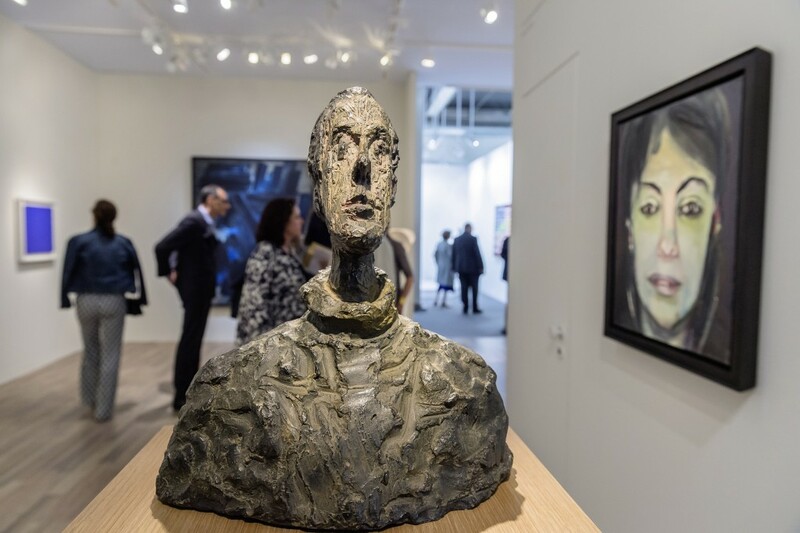 Among the sculptures stand out William Kentridge (Set of 3 Roman heads, Marian Goodman Gallery), Tony Cragg (Stroke, Buchmann galerie) and the series “Not wanting to say anything about Marcel Plexigram” by John Cage (James Cohan Gallery). No fair is complete without spectacular installation, such as the tobacco chandelier by David Hammons hanging at Salon 94 stand, whereas Hauser & Wirth exit from the space of the fair exhibiting the re-creation of Dieter Roth’s bar in Les Trois hotel in Basel. 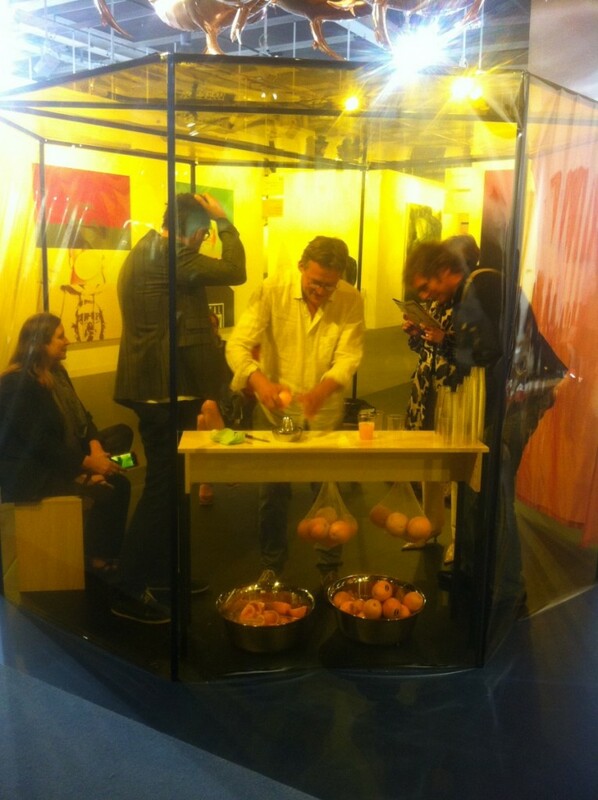 According to the concept of a more inclusive fair, supposed to invite visitors to interact with artworks, Daniel Steegmann calls on visitors to squeeze an orange juice at Esther Schipper in Berlin, marking the successful solution of the art fair balanced between traditional market and entertainment.